Fireflies and Jellybeans: Rhinestone #1 Shirt and Silhouette SD Giveaway!! Yep! Your read that right! We are giving away a Silhouette SD today! I am so excited for one of you! You are going to LOVE this machine! It is my daughter's 1st birthday today!!! So I made her this special shirt to wear at her 1st birthday party. Cute and girly! Cute -but I wanted there to be more bling so I added more dots for more rhinestones! First I selected the #1 shape and right clicked on it. Then I selected ungroup. 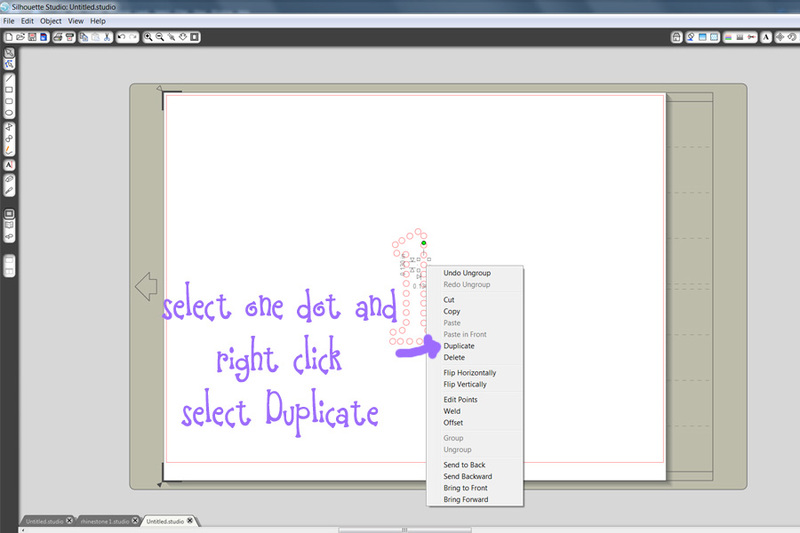 Now all your little dots should be separated. 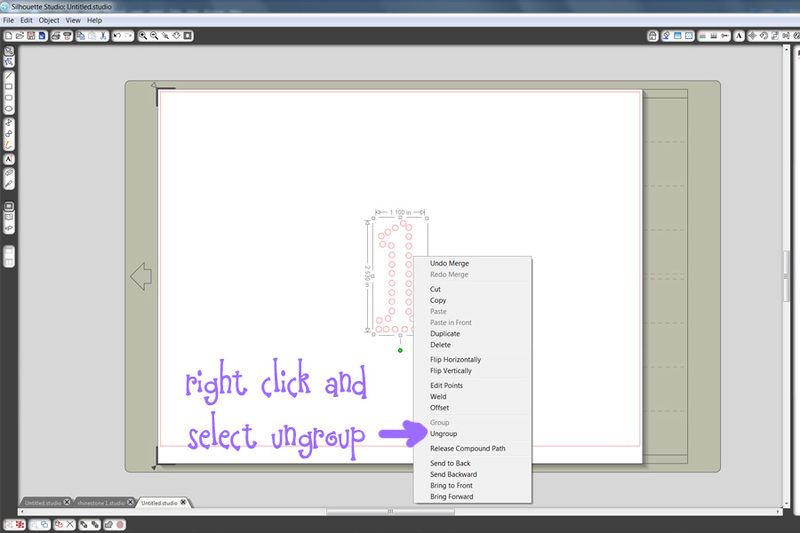 Now we are going to group them back together so that it is easier to move around. 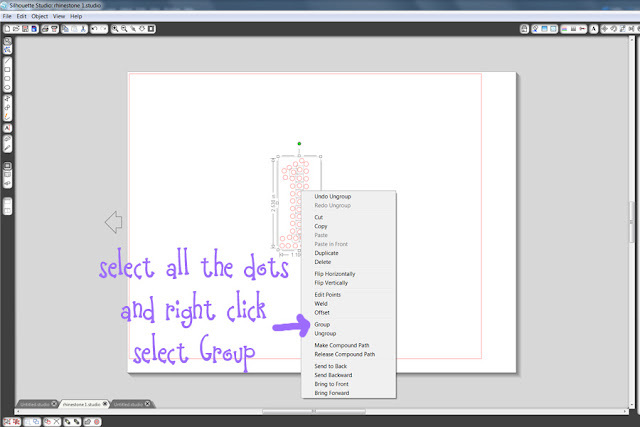 Select all the dots (I just make a rectangle around them with the mouse) and right click, now select Group. Now all the dots should be stuck together in one big group! Now send it to your silhouette... no need for the carrier sheet! Make sure the RED tip is in! Put your clear adhesive transfer sheet over all the rhinestones and make sure the all stick. Move it to your shirt. Place a piece of fabric over it and iron for 30-45 seconds. Remove the clear adhesive transfer sheet and turn your shirt inside out and iron on the back to pull the glue through. Ta-da! 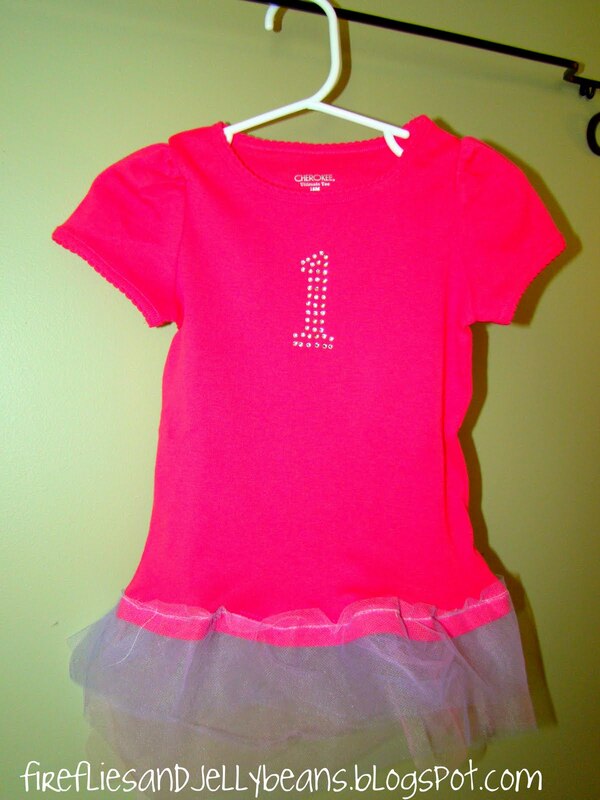 Totally cute 1st birthday shirt! Of course, you could put any number on it and it would be SUPER cute! Silhouette is giving away ONE machine to a lucky F&J reader! This giveaway is open to US Residents only and ends on Monday April 25th at Midnight! If you already have a Silhouette- all rhinestone products will be 30% off. I'm following both blogs. Great Giveaway! Thanks for hosting. I follow both blogs. Thanks! I'm a follower of this wonderful blog - please enter me in the giveaway. I am a new follower to this blog, and I posted the giveaway on both my FB fan page and personal page! Now I'm a follower on the Silhouette blog as well. I am follower of the Silhouette Blog! I follow both blogs! Great Giveaway! i LOVE both blogs!!! i left a comment also on their blog!! keeping fingers crossed!!! i "liked" them on facebook before!! I like Silhouette on FB as Nancy Brumfield! 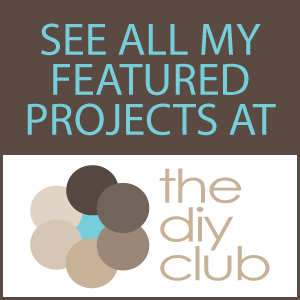 I follow both blogs through GFC! #1--I am a follower of both blogs! Thanks for the chance to win! I have been wanting one of these forever!!! #2-I "liked" Silhoutte on Facebook. I follow you both and posted a comment on the Silhouette blog. I posted a link on FB! I like Silhoutte on facebook. Thank you for having this giveaway! I am already a follower of both blogs! I've been dreaming of owning a Silhouette for a while now! I'm a FF&J follower and a Silhouette blog follower and I just left them a comment! 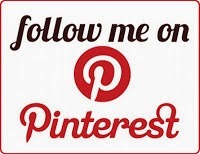 I follow both blogs!!! And I just left a comment over there!!! I "like" Silhouette on FB also :)!! i follow and i left a comment on silhouettes blog page!!! And I just posted this to facebook! Hope I can win one of these guys! I am a follower of your blog (thanks for featuring me once!!!) and told Silhouette blog you sent me! i facebooked this giveaway on the ordy and joon page! I follow both blogs! Ooooh I want to win! I follow you and silhouette. I'm dying for one of their machines!! I am a follower of both of you! I am a follower of both! 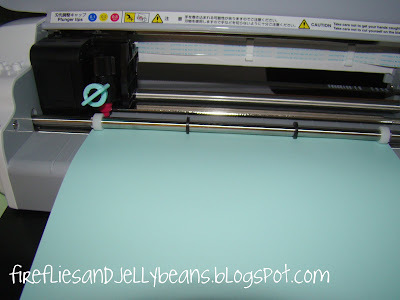 I'm a follower of this blog and the Silhouette blog and left a comment on their Fabric interfacing post! I'm a follower of both blogs. I commented on the 4.20 post, #155 comment. Hi am a follower of you and silhoutte blog! Thank you for the giveaway! Hi! I like silhouette on Facebook! Follower of both blogs (and left a comment). Follow both blogs (and left a comment. I follow you and Silhouette blog and I left a comment over there. I follow both and I left a comment on their blog. I follow yours and Silhouette's blogs and have posted a comment on Silhouette's! i am a new follower of yours and i already follow the silhouette blog! I "like" Silhouette On Facebook and I am in lurve with it! I follow both blogs and commented on the Silhoutte blog! Like it!!! Love it!! On Facebook!!! I am a follower here. I am a follower on Silhouette. I "like" Silhouette on FB. I'm a follower of you and Silhouette! Thanks for the awesome giveaway! I'm a blog follower of yours and sihouette's! I follow both blogs and love them both!!! I "like" Silhouette on facebook!!! follow your blog and theirs and left a comment! I follow both and posted a comment on the silhouette blog. I am praying really hard!! I like silhouette on facebook!! I like Silhouette on Face book! I follow both blogs and left a comment on the Silhouette blog! I like Silhouette on FB - thank you so much for the chance to win!!! 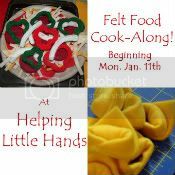 i just linked up and am having so much fun! i'm new to link parties! thank you! I follow both blogs! Thanks for the giveaway! And I like Silhouette on Facebook, too! I am a follower of both blogs! Hope hope hope I win!! I like silhouette on facebook too! 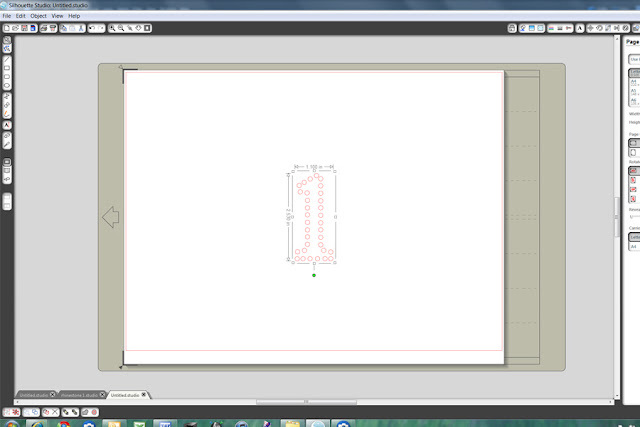 I am a follower of both blogs and left a comment on the etch design. #2 I like Silhouette on FB. #3 and I posted this on Facebook! I'm a follower of Fireflies & Jellybeans and Silhouette. I left a comment on one of Silhouette's posts. I liked Silhouette on FB! I am a follower of the Silouetteblog! I follow f&j blog too! Please pick me! I am a follower of Fireflies and Jellybeans and Silhouette. I just left my comment at Silhouette! Love all the great inspiration! I tweeted about the giveaway! My twitter name is thefitwife. Hi! 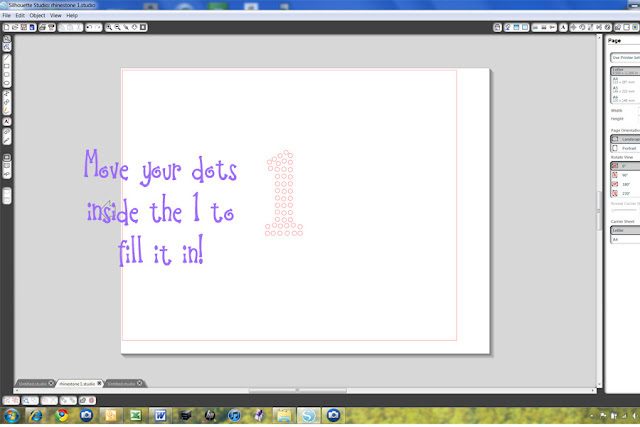 I love your blog and am following it and the Silhouette blog! 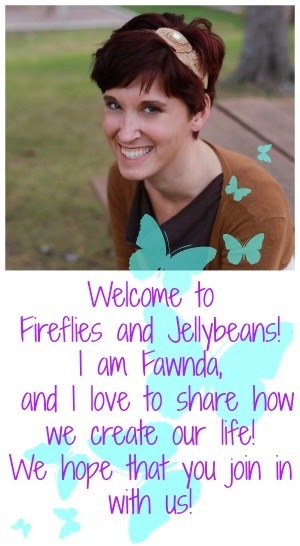 I am a Fireflies and Jellybeans and Silhouette blog follower and I posted a comment on the Silhouette blog. 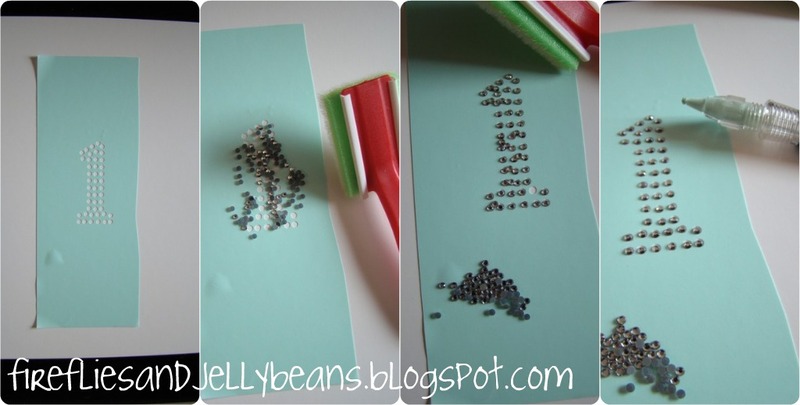 I follow Fireflies and Jellybeans and the Silhouette Blog. I left a comment on the shilhouette blog. Fawnda - I totally ♥ that you name your machines! I follow you as well as the Sillouette blog, & I left a "hol-la" for ff&jb. Thanks for a chance to win the rhinestone bundle.